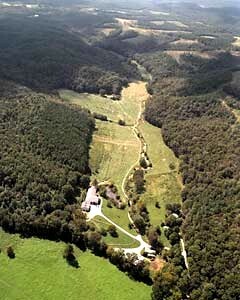 The Elephant Sanctuary founded in 1995 in Hohenwald, Tennessee, is the nation's largest natural-habitat refuge developed specifically to meet the needs of endangered elephants. 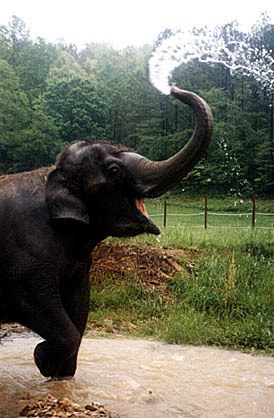 The Elephant Sanctuary founded in 1995 in Hohenwald, Tennessee, is the nation's largest natural-habitat refuge developed specifically to meet the needs of endangered elephants. It is a non-profit organization, licensed by the U.S. Department of Agriculture and the Tennessee Wildlife Resources Agency. It is designed specifically for old, sick or needy African and Asian elephants who have been retired from zoos and circuses. Sun filters through lush vegetation in the Sanctuary woodlands. Three separate and protected, natural-habitat environments have been created for Asian and African elephants. “Our residents are not required to perform or entertain for the public; instead, they are encouraged to live like elephants,” according to the Sanctuary mission statement. The Sanctuary provides a haven for elephants in a setting of green pastures, old-growth forests, spring-fed ponds and a heated barn for cold winter nights. 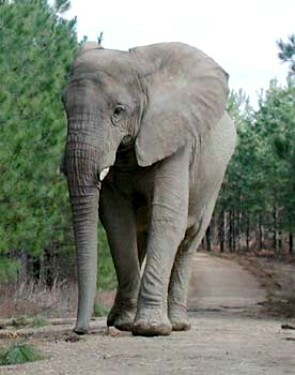 Phil Snyder, regional director emeritus of the Humane Society of the United States has stated, "The Elephant Sanctuary represents the future of enlightened captive elephant management." Carol Buckley, Executive Director and co-founder of The Elephant Sanctuary, has spent 30 years caring for and managing elephants in captivity. When she was first year student in the Exotic Animal Training and Management Program at Moorpark College in California, she came across Tarra, a one year old infant at the time, living in back of a truck on exhibit at a local tire store. Tarra, a female Asian elephant, won her heart. Soon Carol became a volunteer, caring for Tarra and, as she says, “grew overprotective.” Carol said, “Tarra was anemic and miserable living in the back of the truck. While I volunteered I trained her to do basic circus tricks, running around the traditional circus ring, playing musical instruments, dancing, skip, and to wave “goodbye” with her trunk. Tarra was so cooperative and intelligent that I was able to teach her to roller skate. She became the world’s only roller skating elephant,” Carol said. It took her a while, but after a year and a half, she managed to purchase her. For nearly fifteen years Carol went on to travel the US, Canada and abroad performing in a number of circuses including Circus Gatini in Quebec, Canada and the Big Apple Circus in New York City. 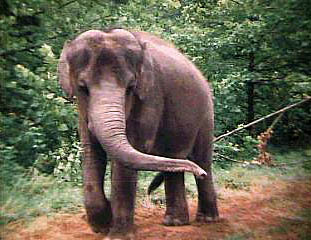 Carol owned and operated her own elephant management company, Tarra Productions, for twenty years. Her experience with Tarra Productions included promoting, exhibiting, training and caring for Tarra who performed for television, motion pictures and circus shows. Carol implemented educational demonstrations for a number of zoos throughout North America including Racine Zoo, Santa Barbara Zoo, Kansas City Zoo, Nashville Zoo and Granby Zoo in Quebec, Canada. Motivated by the plight facing captive elephants and inspired by Tarra, in 1995, Carol co-founded the Elephant Sanctuary. 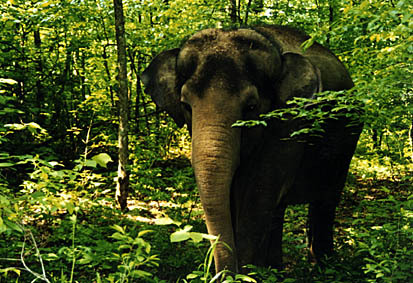 It is recognized as the nation's first natural-habitat refuge for sick, old and needy endangered Asian elephants. Carol was honored as “A Hero for the Planet” by TIME magazine for her innovative work. 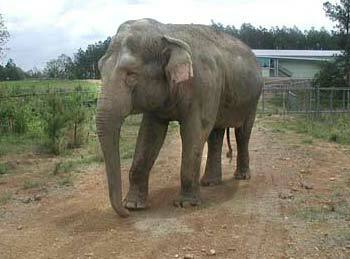 As Executive Director, she helps to care for elephants at the Sanctuary, oversee the administrative office, organizes elephant acquisitions, develops and implements educational programs for the public, and works with governmental agencies and private organizations to strengthen regulations pertaining to the welfare of captive elephants. She is a well-known speaker on the subject of elephant care. Scott Blais, the Sanctuary’s co-founder, is Operations Director and the primary caregiver for eight of the Sanctuary's elephants that live in the newly expanded habitat of 2,200 acres known as New Asia. He and Carol design, develop and direct the 2700 acre natural-habitat refuge. Scott has been managing and caring for Asian elephants for over fifteen years. While studying biology at York University in Ontario, Canada, Scott spent five years as an elephant keeper at Ontario's African Lion Safari. As an elephant keeper, he treated sick animals, monitored elephant breeding, trained elephants, assisted in the training of other keepers, and presented educational demonstrations and elephant rides to the public. In 1993, Scott accepted employment with Tarra Productions providing care for Tarra for two-years prior to opening the Sanctuary. Scott has been instrumental in the design and construction of the Sanctuary's new state of the art elephant house and administrative office, as well as the 20 miles of Sanctuary fencing. He also aids in implementing public education programs about the plight of captive elephants. At the Sanctuary, Tarra, is “independent, precocious, and very much the baby of the family. Other elephants look after her and treat her like a kid and she loves it,” Carol said. The Sanctuary now has 2700 acres with a double fencing system 7 feet tall. It is home to 19 elephants. There are three separate habitats complete with elephant houses and hundreds of acres each. One is for Africans, one is for Asians and the third is designated as a quarantine facility. The elephants forage for their own food year-round. During the growing season 80 % of their diet is derived from the habitat. The remaining 20% is provided by caregivers who deliver the elephant groceries on 4-wheelers. The elephants enjoy access to a vast habitat, with abundance and diverse vegetation, where they can roam the 30 miles a day that is normal for elephants in the wild. All the elephants are females. Females are very sociable while all males tend to be solitary in the wild. “We have recently started a program for elephant care focusing on building our staff,” she added. The 22 member staff includes a year round internship program with paid and non-paid internships. There are small cabins for interns, many of whom serve during the summer for a minimum of six weeks. Caring for the elephants can be rewarding but it is also not free of risks. A tragic accident took the life of caregiver Joanna Burke on July 21, 2006. "In Memory of Joanna Burke" on the Elephant Sanctuary Web site tells about Joanna, her great love of the elephants, and the tragic accident caused by Winkie, an elephant in her care. The Elephant Sanctuary Web site offers daily news, video clips, short video and photographic stories about each of its elephants, and other resources including a comprehensive history of the Sanctuary Goals, those achieved, currently sought, and their future expectation. Barbara. 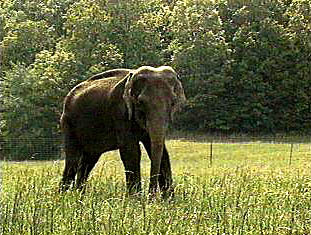 Read about Barbara on the Elephhant Sanctuary Web site. The Elephant Sanctuary is a TAOS Accredited Elephant Sanctuary. "Code of Ethics: The Association of Sanctuaries (TAOS) is guided by a core commitment to the intrinsic value of all life and the need and right of both human and nonhuman animals to the basic necessities for living in ways characteristic of their species. Decisions made by TAOS and its accredited member sanctuaries shall be based on this commitment and on what is best for animals, individually and collectively, in a given situation.The following are the outlines of our ethical obligations, and TAOS members agree to be bound by them and by their spirit." You can read more about the ethical obligations at http://www.taosanctuaries.org/accredit/ethics.htm.